Asbestos was once heavily mined in the U.S., primarily in western states such as Montana, as well as in Canada’s provinces, where conditions are ideal for asbestos formation. This is one thing of which many people are no longer aware. Asbestos was used by many factories in their own equipment and it was used to manufacture a variety of industrial, construction, and even consumer products, but the material itself is a mineral mined from the earth. Asbestos forms in the same conditions as talc and vermiculite, which is why we have also seen asbestos contamination in those materials as well. There is also the possibility talc itself can cause ovarian cancer and other serious reproductive problems in women, who are more likely than men to use talcum powder products. These mines are now closed, and have been for some time, but they have left a real mess for residents in nearby communities. Some of these cites have been included in the Environmental Protection Agency (EPA) Superfund, but even this money is running out and the EPA is doing less work than ever before due to restraints imposes by the current presidential administration. Not all of these mines were in the U.S. as discussed above. There are major asbestos mines located in Canada, and one huge mine, which finally closed in 2012 is located in a town actually named Asbestos, Quebec. Residents of this town considered changing the name since the once-heralded mineral is now so closely associated with the deadly form of cancer known as mesothelioma. But as discussed in a recent news article from San Fransisco Gate, residents decided against changing the name since the town would not even exist had it not been for the mine. While asbestos is no longer used all that much in developed countries amid realistic concerns of asbestos causing malignant mesothelioma, our Boston asbestos exposure attorneys have seen far too many cases where such mines remain a major problem. Not only are they an eyesore and a reminder of past abuses by companies which resulted in countless deaths, but they are also still very dangerous to those in the community. One new solution is to start them back up with proper safety precautions this time, but not for the purpose of extracting new asbestos material from the Earth. During the many years in which this mine was in operation, rocks which did not contain large quantities of asbestos material where hauled out of the quarry and dumped in massive debris piles. This is similar to the massive slag heaps in the coal mines of West Virginia. These piles of rocks, as it turns out, are no longer worthless. While they still contain dangerous levels of asbestos, they also contain large quantities of magnesium and other light metals, which are very useful in the manufacturing of batteries. These materials are especially important in the construction of large rechargeable batteries used in the production of hybrid vehicles and electric cars such as those manufactured by Tesla. The town has already started a processing center to show asbestos waste can be used to extract large quantities of magnesium to be used in car batteries. The large pieces of asbestos waste rocks are known in industry as tailings. The tailings are crushed and then exposed to a chemical process known as electrolysis. Through this process, electric currents are used to chemically separate the valuable light metals from the tailings and then sold to companies that manufacture batteries. Currently, most of the world’s magnesium comes from China. While this is currently a viable option, it is not a cheap one as any magnesium imported from China to the U.S. is subject to very high tariffs and this may only get worse with the new tariffs being discussed by President Trump. If the town is successful in attracting new business to extract the magnesium on a large scale level, this could mean the country which once produced half of the world’s asbestos, could now produce most of the world’s magnesium. Under the North American Free Trade Agreement (NAFTA), there would be no significant tariffs for U.S. automakers that wish to import magnesium from Canada for use in domestic hybrid battery production. While this could certainly be a net positive for both the U.S. and our neighbor to the north, it cannot be stressed enough that all reasonable efforts must be taken to makes workers and the community is not put at risk by a large scale restart of even part of the Canadian asbestos mines. 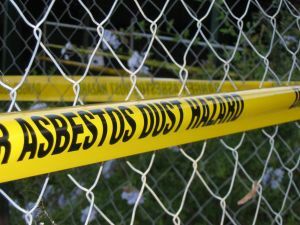 Though trailings do not contain enough asbestos to make viable for asbestos production, they still contain enough friable to make them very dangerous to anyone who inhaled the deadly fibers. Once the fibers are inhaled, they can become trapped in a layer of tissue known as the mesothelium. This tissue is there to protect organs from foreign particles. Normally, foreign particles become trapped there and then the body can eventually break them down or otherwise expel them. In the case of asbestos, they are so sharp they become stuck, and do to its chemical makeup, asbestos does not breakdown. This is why asbestos was so valuable in the first place as an natural insulator and later as a bonding agent. Over time, usually between 20 and 50 years, these fibers metastasize and form malignant mesothelioma tumors. However, due to the nature of asbestos, patients typically do not even know they are sick until it was way too late to do anything about it. They are presented with various treatment options, but these options are often very invasive, painful, and even in the best cases, will only extend a patient’s life a relatively short period of time. This extension of time often comes at serious reduction in a patient’s quality of life.